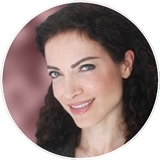 Smile SF: Dr Farah Sefidvash (San Francisco) - Book Appointment Online! At Smile SF our mission is to provide the most comprehensive, efficient, relaxing, and comfortable care possible, for every patient we see. I have been to a lot of dentists and finally i have found the one dentist that makes me feel so comfortable when i see her. Farah greets me with a very positive attitude and always explains in great detail her procedure that day. Its not easy finding the best dentist you like. So i am very grateful that i have found one in Farah sefidvash, DDS.